The Lewis & Clark Center told the story of their expedition up the Missouri River in search of a water route to the Pacific Ocean. Good displays showed the way they went and what was found along their journey. 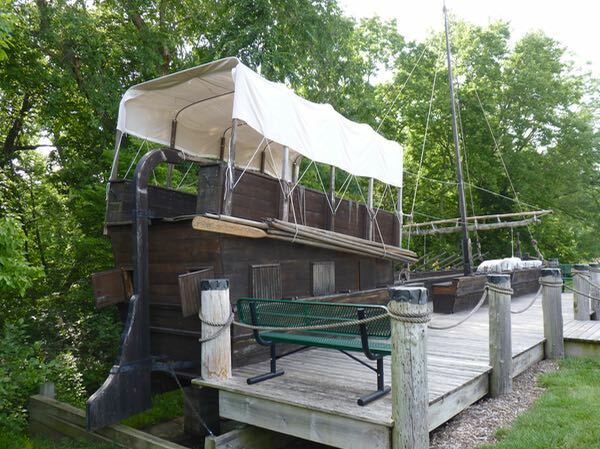 Outside was a 55ft Keelboat replica, several of which were used to carry supplies for the trek. 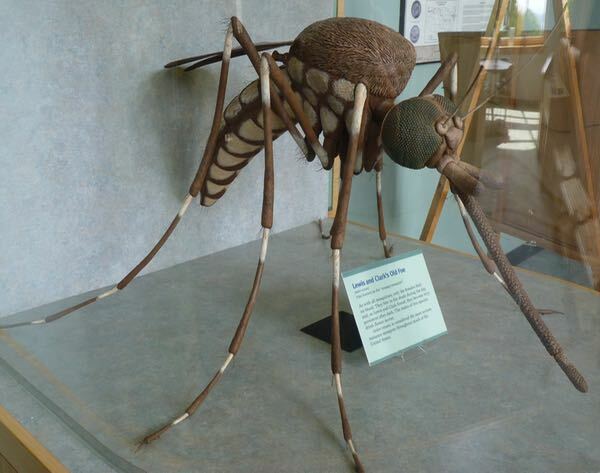 Inside, a Texas size mosquito indicated the extent to which it pestered them. Plants and animals new to them were recorded. Maps and other artifacts filled in the details. 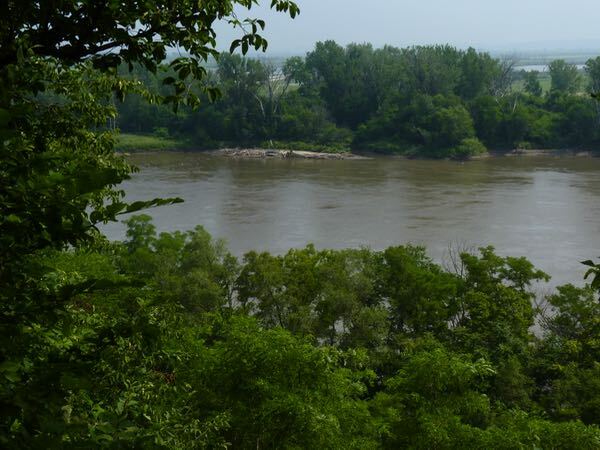 There was a trail to the Missouri River; it being nothing like it was in their time. Since then, it has been straightened and dredged and now resembles a canal. 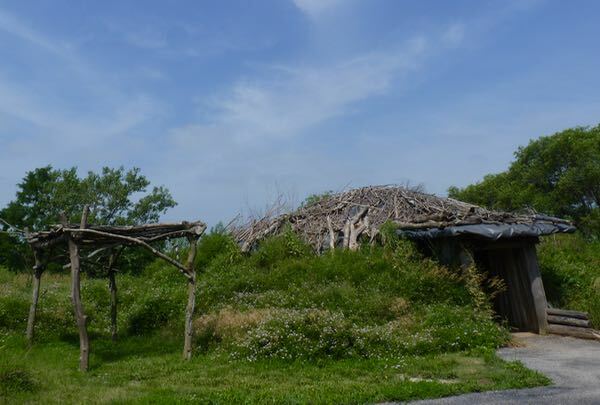 Another trail went to a replica Mandan native earth lodge with their typical furnishings. 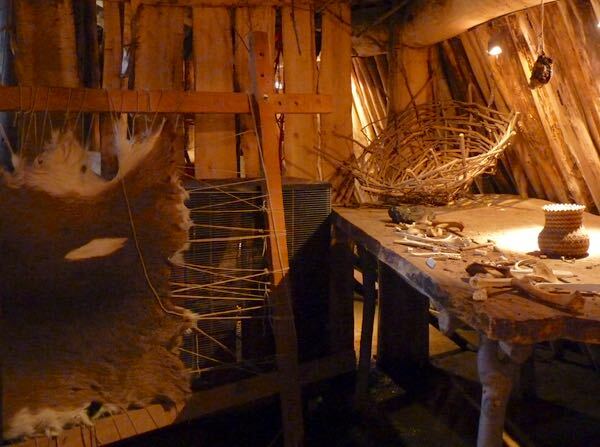 I was glad to reach my next camp with electricity, which allowed me to run the air condition. Much better to relieve the heat and humidity. It had shade trees and good views of the large lake. There’s a great windmill museum and John Brown’s underground railroad in that town. Thanks for that info. However, I was only passing through and now I’m several states beyond.